For the long miles. 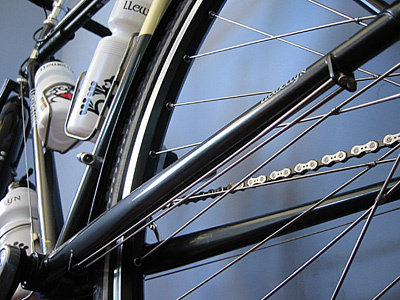 A Llewellyn touring bike is built with geometry and materials for efficient loaded touring. Llewellyn touring frames have taken two-wheel travellers all over the world. Each Llewellyn touring bike is built with the individual requirements of the touring rider in mind. 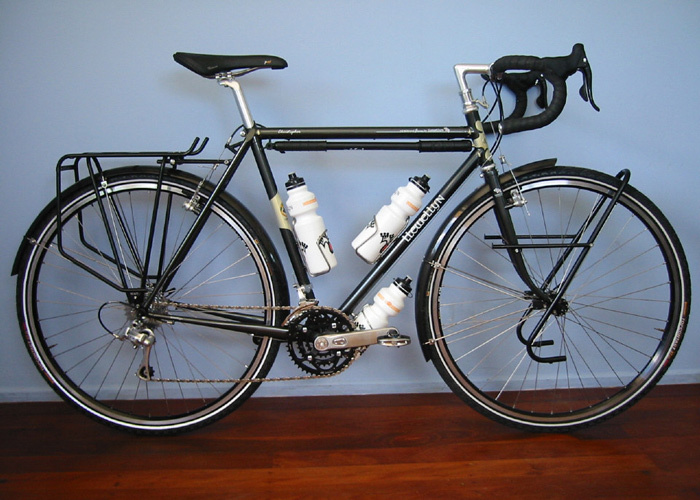 Your preferences and needs; issues such as load size, rack requirements, tire sizes, mud guards, gearing, and brake choice will all be taken into account when we discuss your touring frame. Click on the bike model name to go to the model page. The keeper of the craft. 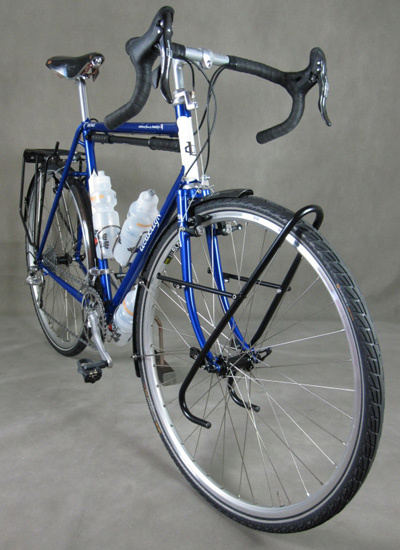 A contemporary traditional lugged frame.Constructed with “Columbus Spirit for Lugs” OS diameter tube sizes. Now smaller lighter riders can also enjoy lug constructed frames with compact geometry Custom made to measure lugged frames constructed using Llewellyn proprietary design and produced OS compact lugs. Constructed with with “Columbus Spirit for Lugs” OS diameter tube sizes. The inspiration behind this name came from the word ‘Cadenza’ which is an impassioned improvisation played by a virtuoso soloist toward the end of a musical performance. Constructed with XL diameter tube sizes for big and or solid riders. Inquire about optional Columbus XCr Stainless tubing. The same frame as the “Cadenzia” but with a sloping top tube. Constructed with XL diameter tube sizes for big and or solid riders. Matching Llewellyn machined and painted headset spacers available on Custodian and Manorina frames. Complete bikes are available on request. Or, Click here to email Darrell Remove the REMOVETHIS before sending the email.